The LBB lab oven features a combination of horizontal and vertical airflow that offers excellent temperature uniformity. These ovens are recommended for a variety of laboratory applications including drying, curing, annealing and materials and asphalt testing. The fan and heater are top mounted to prevent damage from spills. Maximum temperature is 204℃ (400℉). These ovens ship in 2 to 3 days. 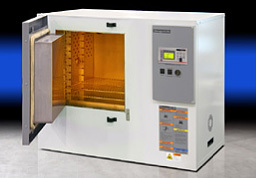 The LAC lab oven features a programmable control, horizontal recirculating airflow and provides reliability in demanding laboratory applications, such as curing, drying, sterilizing, aging, and other process-critical procedures. Cleaning is easy due to the stainless steel interior. This high-performance lab oven has a maximum temperature of 260℃ (500℉). These ovens ship in 2 to 3 days. Despatch's LCC and LCD clean process laboratory ovens have forced recirculating airflow that is 100% HEPA filtered and can maintain ISO Class 5 (Class 100) operation throughout the process cycle. 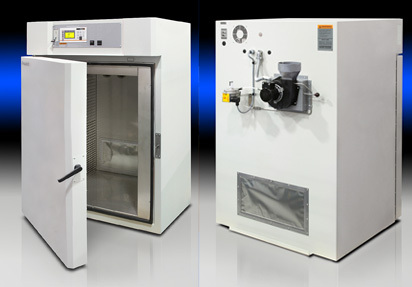 These lab ovens can be stacked up to three high for added capacity in small labs. Nitrogen atmosphere is available and the maximum temperature is 350℃ (662℉). This high-performance lab oven delivers temperatures up to 343℃ (650℉) and has a 4.2 cu ft (117 liter) capacity perfect for small parts, small lot sizes or tight space considerations. The Class A version comes complete with a pressure relief panel, purge timer, and exhaust fan to meet NFPA 86 requirements for flammable solvents. RAF and RFF lab ovens feature horizontal recirculating airflow to ensure exceptional temperature uniformity of +/- 5.6℃ at 538℃. These lab ovens deliver temperatures up to 538℃ (1000℉) and are great for such processes as annealing, aging, stress relieving and other process critical applications. The RFF is a Class A version that meets NFPA 86 requirements for flammable solvents. If you need an oven for your laboratory, you are most likely looking for a small oven with the versatility to perform simple processes such as drying glassware to complex heating applications that are controlled and recorded. When a lab oven is used for testing materials, stability and repeatability are critical to ensure the oven is not skewing the results. 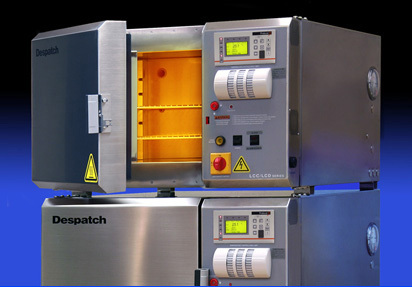 Despatch laboratory ovens are known for their high performance with superior uniformity and consistent results. 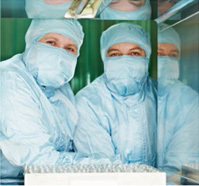 Several Despatch lab oven models are stackable, which saves valuable laboratory floor space. 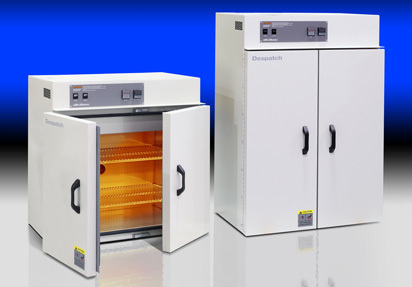 Despatch lab ovens are easy to clean with stainless steel interiors and smooth door surfaces. They feature sturdy, welded, double-wall construction, thick glass fiber insulation, and heavy-duty door gaskets. Each oven receives a thorough quality and performance test before it is shipped. Heating elements carry a five-year warranty. Advanced control of your lab oven process. Every Despatch lab oven except the LBB series feature the Protocol 3™ microprocessor-based temperature and hi-limit controller with a large LCD display. The data-logging functionality enables reporting and analyzing, and data files can be exported via the controller's USB port. You can control the oven from your computer with optional software that also records operating information, including times, temperatures, set points, alarm conditions, and lot numbers. Data is written in an editable form that can be easily saved in an Excel format. For lab environment processes where minimal contamination is essential, an LCC or LCD Series lab oven offers the highest standard in HEPA filtration. Re-circulated airflow is 100% HEPA filtered for operation at ISO Class 5 (Class 100) or better within the oven chamber. Typical applications for these ovens include die-bond curing and other semiconductor packaging processes, depyrogenation, sterilizing and drying for life sciences. These units are stackable to save valuable floor space and provide maximum ergonomic efficiency for operators. This oven is available with inert Atmosphere. Nitrogen (or other inert gas) is injected into the chamber to lower the oxygen level to prevent oxidation of products. A water cooling coil is provided for rapid cooling. Special design features are required when the oven and/or controls will be located in an area classified as hazardous. This classification refers specifically to an explosion hazard from the possible ignition of dust, vapors or gas in the area external to the oven, and is not limited just to volatiles within the oven chamber. 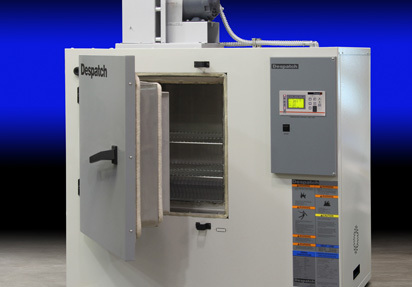 Despatch Class A lab ovens are specially designed to meet NFPA 86 requirements. They include a pressure relief panel, purge timer and exhaust fan. 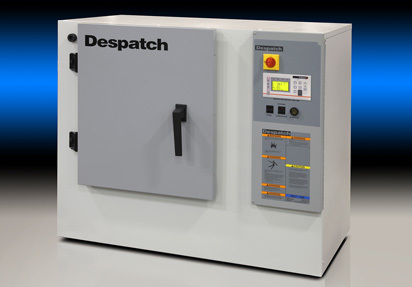 Despatch's RBC Burn-In Oven offers maximum flexibility for small lot qualification testing, burn-in, reliability testing, and research and development. 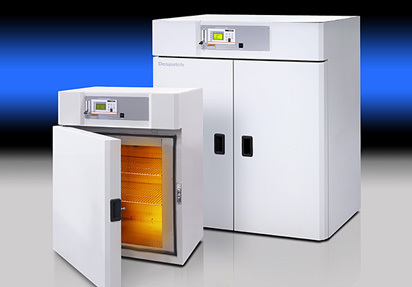 The stackable oven allows you to run concurrent tests utilizing different temperatures or different cycle times. They are ideal for qualification testing with small lots, because a new test may be started on the second chamber while the first test is still in progress. For applications which require 100+ air exchanges each hour Despatch offers the Qmax. 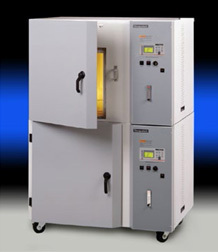 This lab oven was specifically designed to meet the frequent air changes and tight temperature uniformity required to meet ASTM 5423 Type I and II specifications. The oven has a temperature variation of less than 6℃ at 300℃ while maintaining 100-200 air changes per hour. 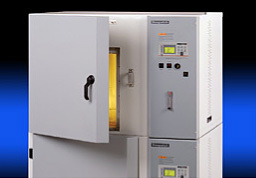 This lab oven can be used for applications such as thermal evaluation of electrical insulating materials, testing, aging, curing, drying, sterilizing and other thermal applications where tight temperature uniformity is required. Don't worry, we won't share your info.